Hazard added another (51) following a wonderful Kevin De Bruyne pass and Belgium could afford substitute Michy Batshuayi to miss a hatful of late chances before he finally score in injury time (90), as his side all-but guaranteed their spot in the last 16. One potential sour note for Roberto Martinez was Lukaku hobbling off with an ankle problem early in the second-half. Belgium play England on Thursday in their final Group G encounter. Belgium flew out of the traps in Moscow as Hazard won a free-kick with just 15 seconds gone, and won another foul in the penalty area on six minutes when he was tripped on the line of the penalty box. The decision survived a VAR review and Hazard stroked home the spot kick. Belgium were unchanged from their 3-0 win over Panama while Tunisia made two changes as Farouk Ben Mustapha replaced injured goalkeeper Mouez Hassen, who left the pitch in tears against England. And, Saîf-Eddine Khaoui replaced Naïm Sliti. Dries Mertens then released Lukaku in behind on 16 minutes. The Manchester United striker drove down the left and reversed a clever shot into the far corner. Tunisia would have been fearing a thrashing at that point but got themselves back in the game 60 seconds later when Bronn took advantage of a poor offside line by Belgium to head home from a Khazri set-piece. With Tunisia pressing on, Belgium were a constant threat on the break and Lukaku and De Bruyne wasted a couple of good openings. Lukaku kept on making runs in behind and was found just before the break by Thomas Meunier. This time, Lukaku found the killer finish to lift the ball over the goalkeeper to restore Belgium's two-goal cushion. De Bruyne came to the party in the second half with a spectacular raking pass that released Hazard through on goal. From there, the Chelsea man rounded the goalkeeper to make it 4-1. 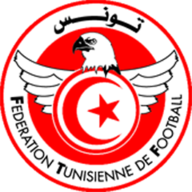 That goal knocked the stuffing out of Tunisia, who threw the towel in during the final quarter. Lukaku - who limped off - and Hazard were both withdrawn by Martinez to save their legs but the chances still came for the Europeans. Batshuayi smacked the crossbar from five yards out and missed a further four guilt-edge opportunities before finally tucking one away in stoppage time. Khazri scored with the last kick of the game but this was all about Belgium, who laid down the first real marker of the tournament with this convincing victory. Belgium have won each of their last six World Cup group stage matches, winning their last one in 2002, all three in 2014 and their opening two of this tournament. Tunisia are now winless in 13 World Cup matches (D4 L9), losing their last four in a row. Lukaku has now scored more goals in major international tournaments (European Championship and World Cups) than any other Belgium player (7). Lukaku has scored 17 goals in his last 11 matches for Belgium, failing to score in just one of those matches (against Portugal earlier this month). Lukaku is the first player to score two or more goals in consecutive World Cup appearances since Diego Maradona in 1986, who scored doubles against England and Belgium. 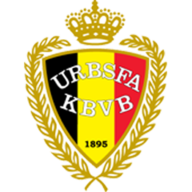 Belgium have won 11 of their 12 competitive matches under Roberto Martinez (D1), scoring 51 goals and conceding just eight in those games. Hazard has been involved in 23 goals in his last 21 appearances for Belgium (11 goals, 12 assists). It's hard to find a standout player as Lukaku, De Bruyne and Mertens were all at their top of their game. However, Hazard just gets the nod due to his involvement in the all-important opening goal where his trickery won the penalty. As per, his dribbling and use of the ball were sensational. A gem of a player. Both teams play their final games on Thursday evening. Belgium play England while Tunisia take on Panama.